Use a table to create a numbered list. 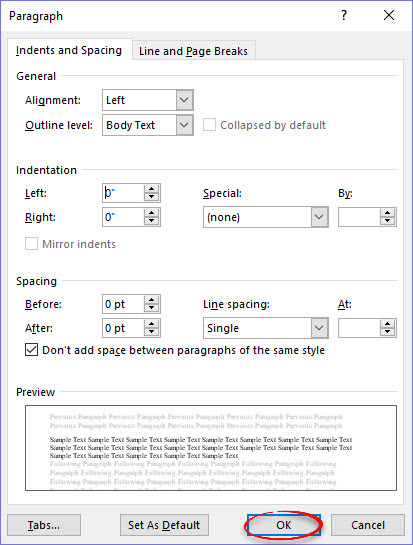 Each row will be automatically numbered as you add or remove table rows.This process also works in Word 2013 & 2010. Step 1:Under the Insert tab, select Table. Create two columns and as many rows as you need. Step 2:Select the first column. Step 3:Under the Home tab, select the Numbering button from the Paragraph group. Step 4:Numbers will automatically appear in the first column. Step 5:To remove the automatic indent in front of the number, click the Paragraph dialog box launcher. Step 6:Match the settings to the example and click OK. The numbers will be aligned and the indenting is removed.